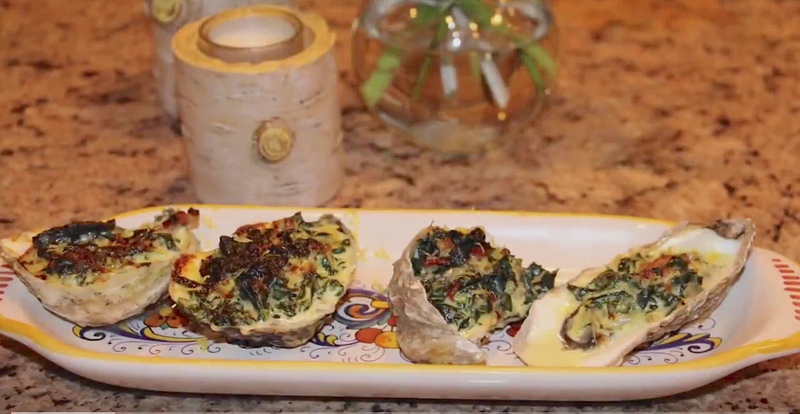 If imitation is the sincerest form of flattery, oysters Rockefeller must be one of the most revered recipes ever cooked. The classic combination of oysters and herbs or greens with aromatic butter sauce not only turns up on the half shell, but in casseroles, burgers, dips, even pizza! 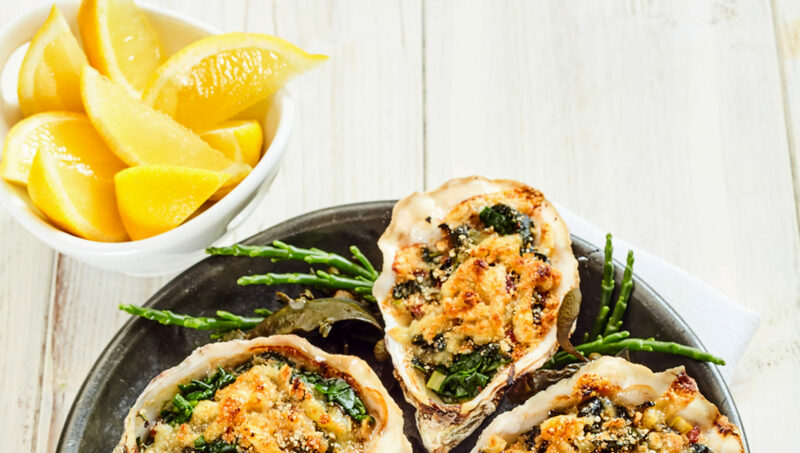 Browse two dozen of the best oysters Rockefeller inspired recipes from your favorite magazines, cookbooks, chefs and food blogs. 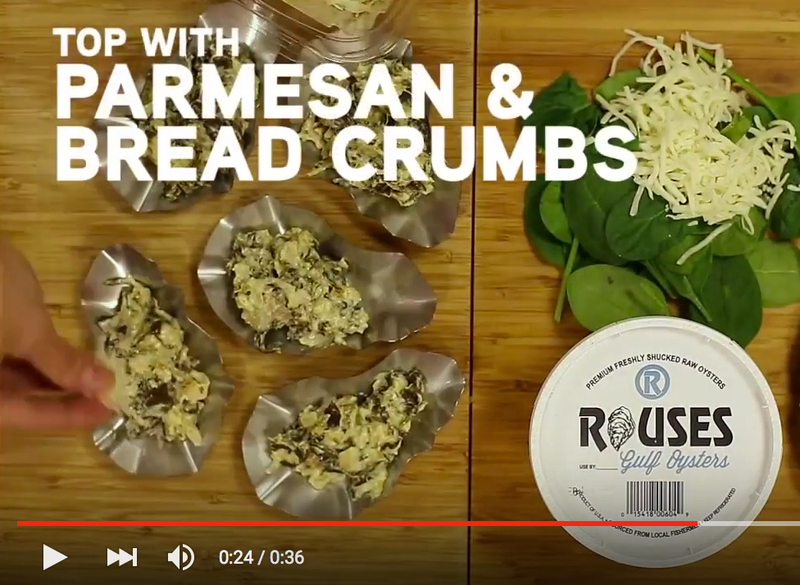 Your Oyster Recipe of the Day: Extra Cheesy Oysters Rockefeller. 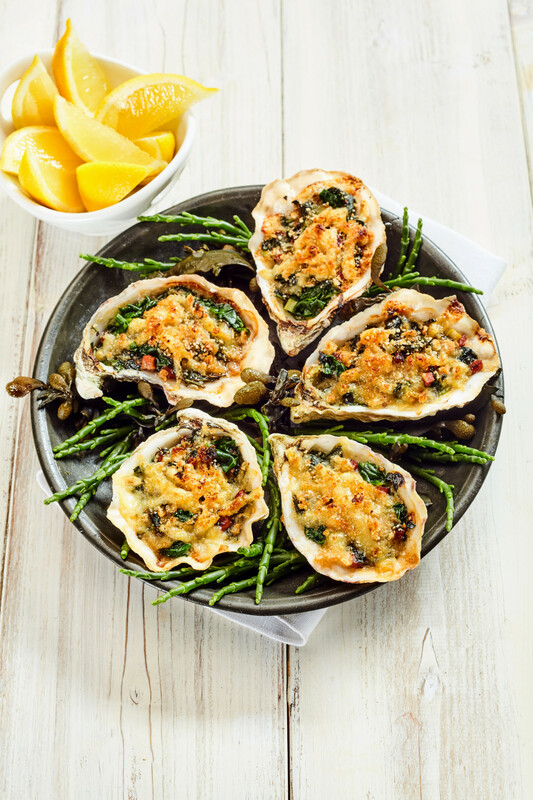 This version of grilled oysters Rockefeller is topped with Parmigiano plus salty, sharp Pecorino cheese.